To some degree my art has always had a poetical character, certainly at the beginning of my development. During my residence in Friesland (1977 – 1983) the accent of my inspiration moved towards visual impressions and the processing of this into an inner image, by means of a rhythmic structured and transparent way of painting. After some attempts in the beginning to integrate also the human figure it disappeared from the image. At that time I did not succeed to express nature as an open unity and at the same time give the human figure a place in it. After all it is contemporary man who sees him/herself as the measure of all and therefore fragmentises and rationalises natural space. 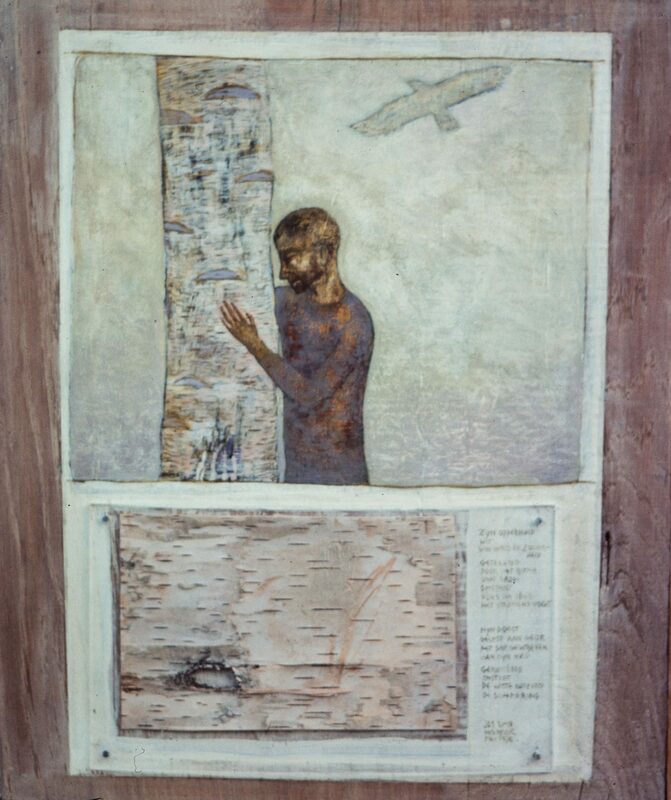 Left: Man with birch tree, 1976. An early painting with human figure. Right: A work in progress with self portrait, January 2015. 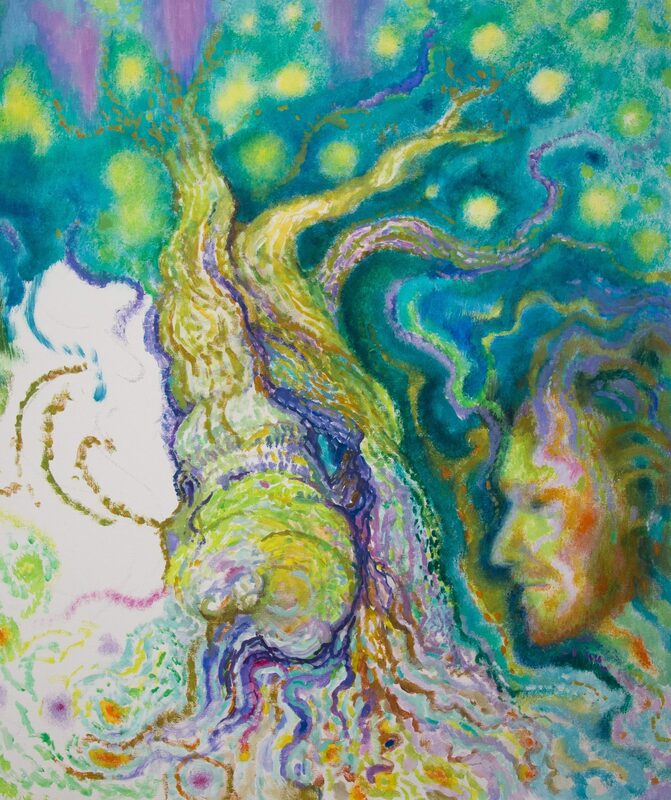 A long period followed in which observations in nature enriched my sense for light, space and shape, and in which the color richness in my art extended. And at the same time the idea of separateness of my own essence regarding earth and nature made place for a deep trust in the unity of all life. During the last few years my need for a more improvised and direct way of painting, besides the refined, more structured (hatched) style, increased. In 2014 I could brake through this style with a series of charcoal drawings. Now a new phase seems to begin in which poetry can be more crucial again and the human figure may be integrated as well. 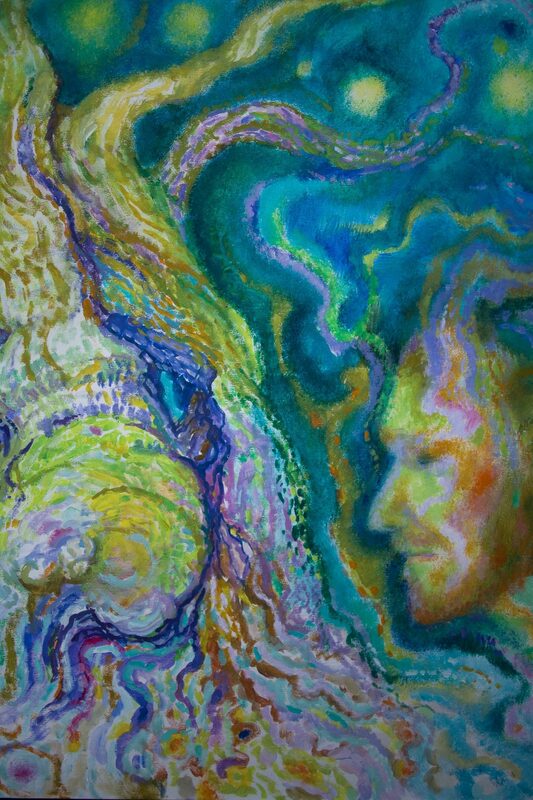 Detail ‘Self portrait with tree’ in progress.